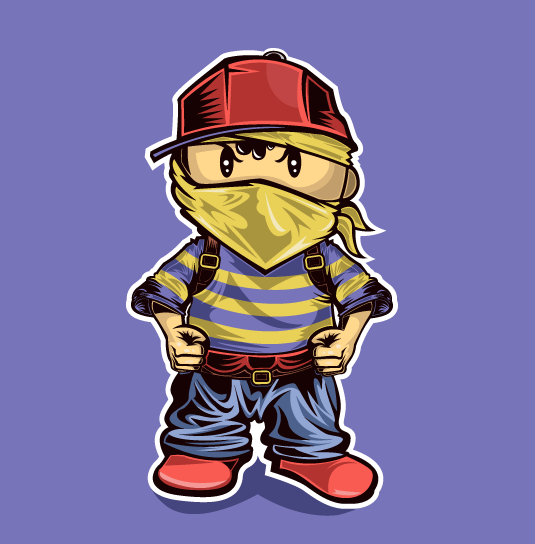 Ness is here and he’s Errrrfbound. With his straight up flow, drawers hanging low, fresh new Jordans and a Louisville slugger to match [not seen, but he has it]. Usin’ PK fire to light up a fatty. Usin’ PK lightning to charge his iPod. Doing dope tricks with his Fireball yo-yo: Walk the dog? Check. Around the world? Check. Rocket it in the pocket? Double check.